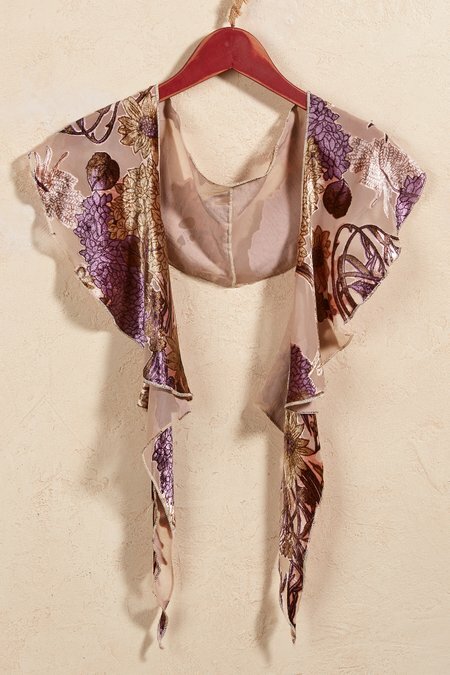 Flowing to point ends, golden highlights shimmer on this waterfall scarf designed with gorgeous burnout velvet flowers on delicate georgette. Simply drape it over your shoulders for effortless impact. Poly/Rayon. 66-1/2" length, 6" at widest.